With climate change and the development of property on flood plains, the flooding of buildings has become a considerable problem, both for property owners and their insurers. This book, based on extensive research, provides guidance on how to assess and repair flood damaged properties. David G. Proverbs, Professor and Head of Department, Construction and Property, Faculty of Environment and Technology, University of the West of England. 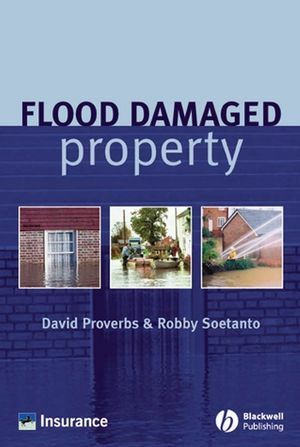 I would recommend this book to all surveyors as it provides a useful insight into the extensive damage a flood can cause properties and provides a variety of repair options. An interesting publication which will probably find it's way onto the shelves of loss adjusters, surveyors, contractors and all those with an interest in flood damaged property.